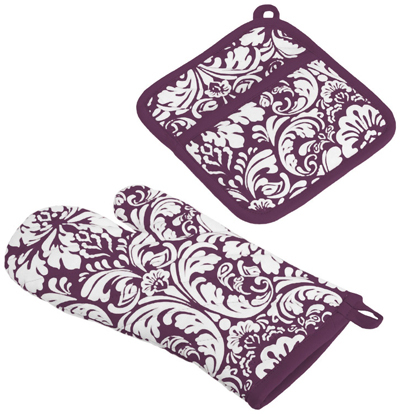 This Purple Damask Printed Oven Mitt and Potholder Set are made from 100% cotton chino and a 100% cotton terry cloth. Both are insulated and will protect your hand in hot situations. $8.99. Buy here. 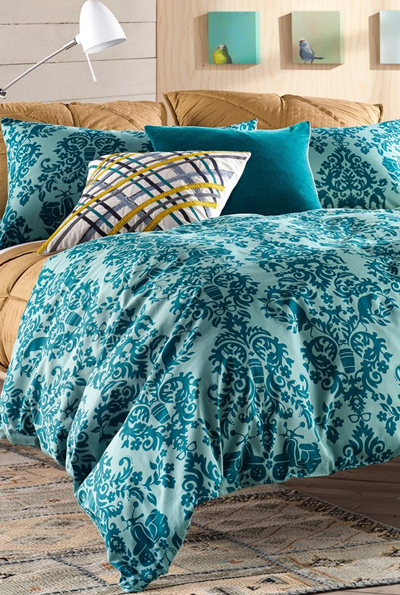 An array of modern pop icons—coffee cups, Frenchies, Italian scooters and smartphones—are hidden in this Urban Holiday Damask Print Duvet featuring an ornate, updated interpretation of a traditional damask print. 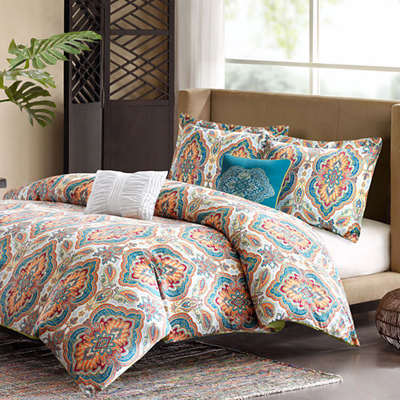 The soft cotton duvet cover is a quick and witty room refresh. $88-$98. Free shipping. Buy here. 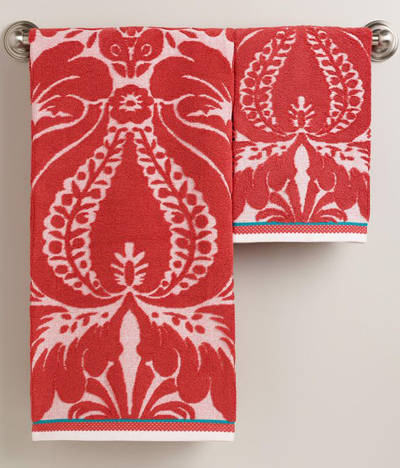 Defined by a bold damask motif with a unique, raised texture, the Coral Esme Sculpted Towels offer luxurious comfort and an opulent look. $9.99-$14.99. Buy here. 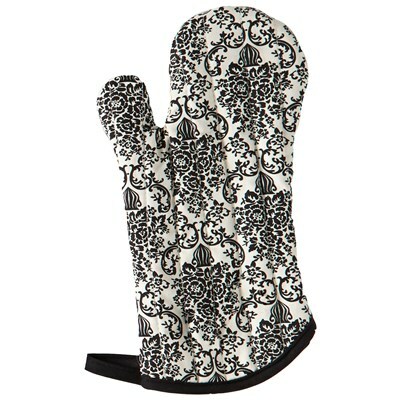 An instant everyday favorite, this stylish Jessie Steele Cream & Black Bouquet Damask Oven Mitt makes the perfect accessory for baking projects. 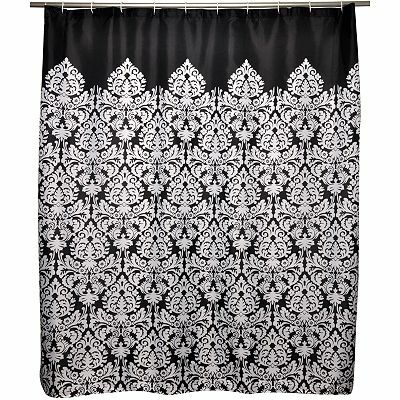 Designed with a black and cream damask pattern, the sophisticated accessory is made with heavy-duty cotton twill and offers a loop for hanging when not in use. $10. Buy here. 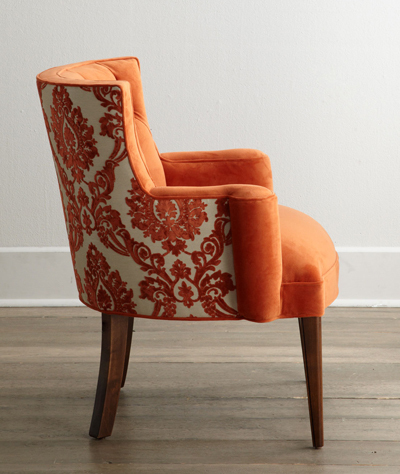 An inviting mix of damask print, solid upholstery, and tufting makes this Bright “Tiffany Damask” Chair from Haute House a must-have. 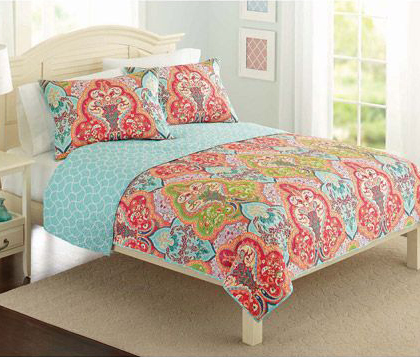 Features an alder wood frame and hand-painted finish. Handcrafted in the USA. $1299. Buy here. 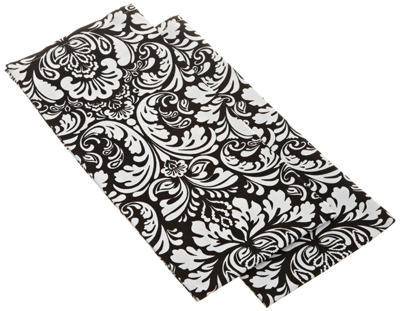 Add a classic, clean look to your kitchen with the DII Printed Black Damask Dishtowels. 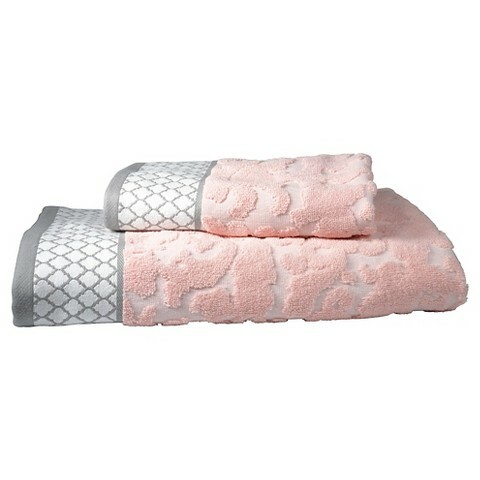 Each towel measures 18 x 28-inch, 100-percent cotton and machine washable. Set of 2. $12. Buy here.